While working for years as side-men in various groups, these four musicians decided to form a working quartet in the late 90's which has transformed into one of the most sought after jazz ensembles in the rocky mountain area. The DJQ performs all the jazz standards including Latin jazz, mainstream, swing, ballads and blues. club dates to jazz festivals. They were the featured jazz group at the Queenstown International Jazz Festival in Queenstown, New Zealand in October, 2003 in celebration of the Festival’s 25th year anniversary. 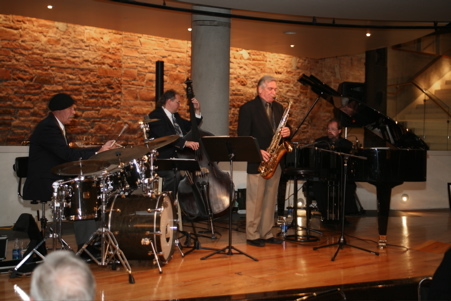 The group performs primarily as an instrumental jazz quartet or sometimes as a jazz trio. The DJQ can also be augmented by adding another instrument or a vocalist. The DJQ has performed with some of the finest jazz singers both locally and nationally.